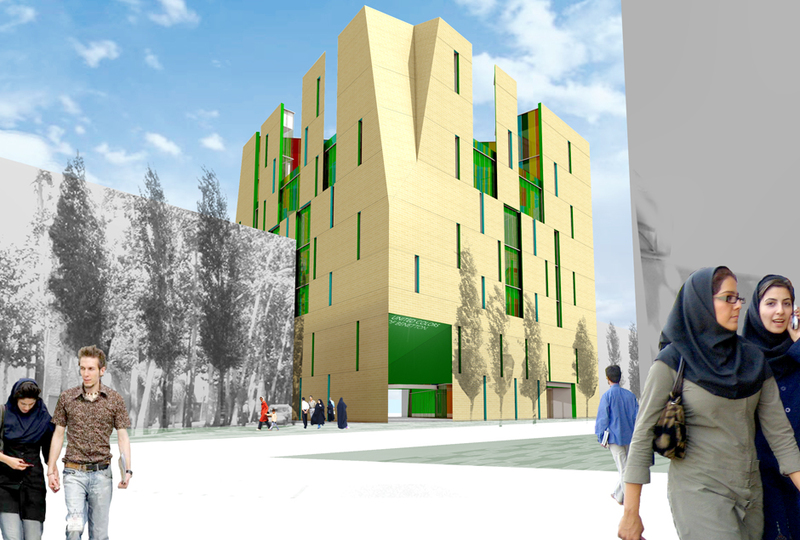 The “Designing in Teheran” 2009 competition seeks to stimulate innovative ideas that will convey these messages of modernity and attention to the architectural and environmental quality of the retail and office spaces for a new Benneton store and office in the constantly evolving metropolis of Tehran. International fashion, like modern architecture, is successful to the degree that it unites global elements of design and style with the most personal and local conditions of culture: every garment ultimately clothes an individual, every building ultimately occupies a specific site. 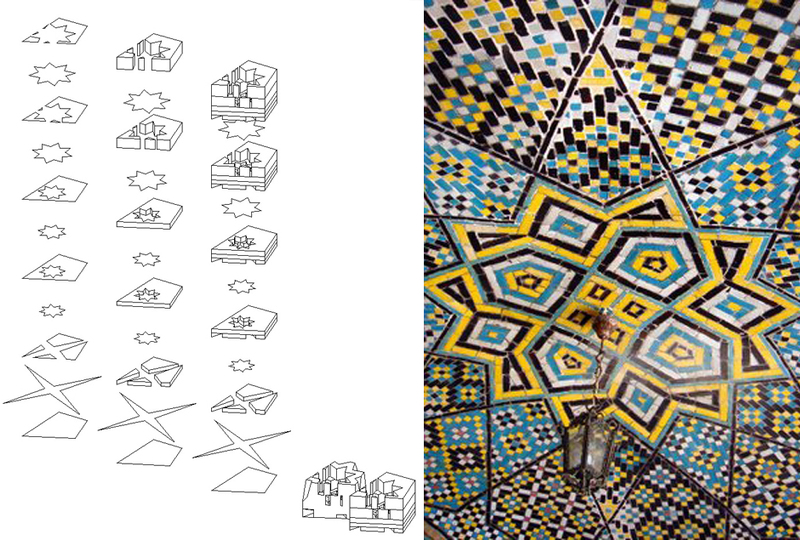 This design references the local form of the street and materials of traditional Teheran construction. 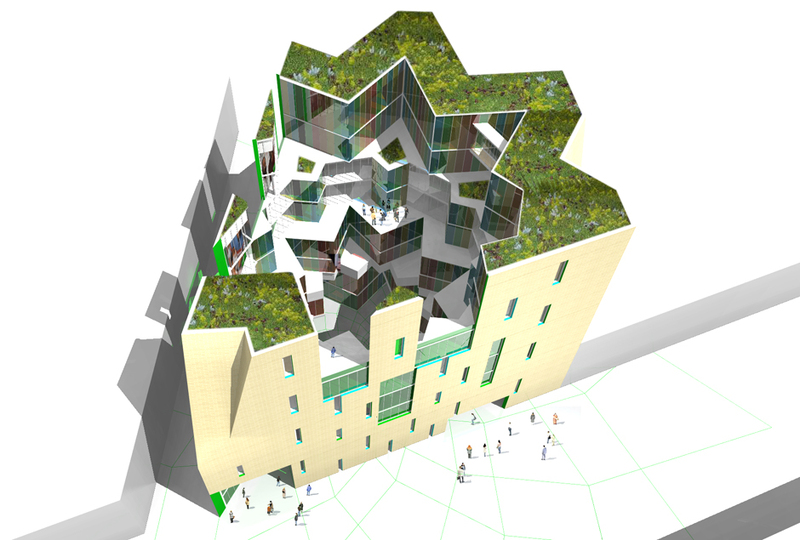 The courtyard, based on an eight-sided star, is the window into the retail spaces on the first and second floors. 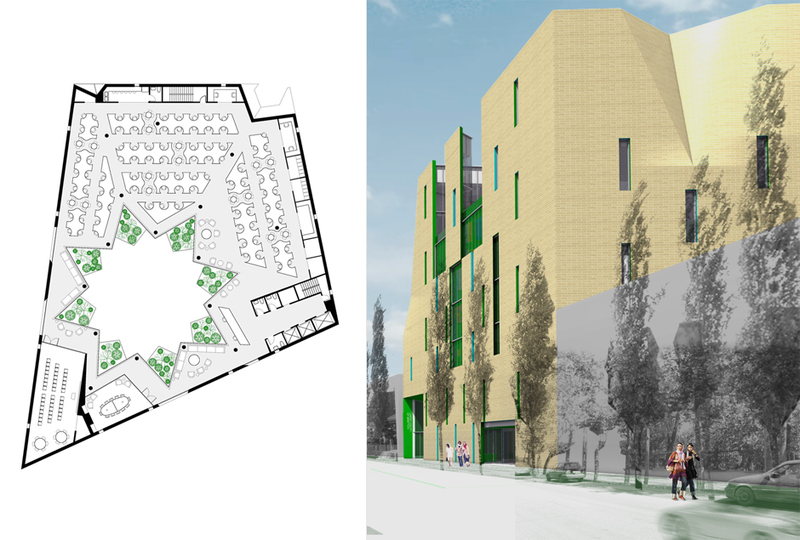 The courtyard volume opens to the sky, rotating and expanding as it rises past the retail zone and to the corporate Benneton offices above.